And just because it’s an old truth, doesn’t make it a cliche. There’s nothing generic about meaningful change. Just ask Dr Mwemezi Kaino, one of a handful of medical anaesthesiologists in Tanzania. 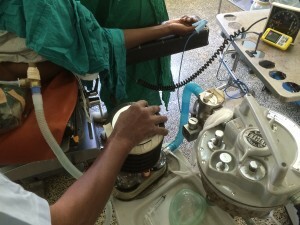 He graduated last year, and his determination is helping to drive the safer anaesthesia agenda at the Kilimanjaro Christian Medial Centre (KCMC) – and build bridges with clinicians and NGOs around the world to push it further. 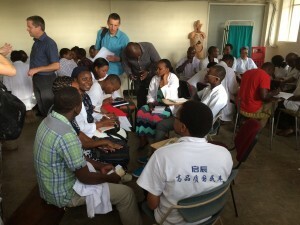 We’re excited to be working with Kaino and a range of partners to support safer anaesthesia across northern Tanzania – a catchment of 15 million people – providing oximeters and training to graduates of KCMC’s nurse anaesthesia training programme. We caught up with him on Tanzania’s Independence Day – just another day at work for most of the KCMC staff – to find out more. Did it really just begin with a series of cold calls? Yes. There wasn’t any teaching capacity at KCMC to train me in anaesthesia, so I started reaching out to people. I’d open a website from a facility in the UK, or Australia, contact the anaesthesia department saying hi – I’m an isolated student, do you have any staff who could come visit to give us some training? How did you get involved with Lifebox? Everyone who came to our hospital noticed that we were often anaesthetising without an oximeter. We didn’t have monitors, just a precordial stethoscope – you’d stand near the heart and listen to it beat during the operation. I asked the hospital what was happening and they said ‘they are broken’ – and it’s true, they showed me a lot of oximeters that weren’t functioning, kept in a room full of dust. So clearly we have some work to do! They told me Lifebox is an organisation that can donate oximeters. I thought, this is going to be difficult. I was just a student, I didn’t have a mandate to procure equipment. But we asked, what does it take to get oximeters from Lifebox – and learned that all you need to do is submit some basic statistics. How many surgeons, how many recovery units, how many beds in each cover – I did it very quickly in one night, and on the next visit Dr Richard Venn, one of the visiting anaesthetists, came with oximeters. I thought, if it’s this simple, why haven’t we been doing all along? What difference will the oximeters make? I heard a very sad story recently. 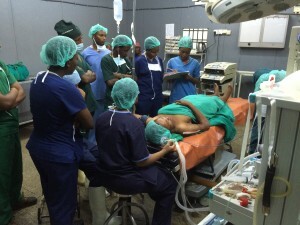 A healthy woman, ASA classification 1, who came to a small local hospital for a Caesarean section. They did a spinal anaesthesia, and the next thing they discovered was cardiac arrest. I think it must have been a high spinal, or a total spinal – where the anaesthetic drug goes too high up the spine, and she couldn’t breath. After a successful CPR and intubation they brought her to KCMC and we took her to ICU – but it was too late, because even though she started breathing after resuscitation – her breaths were shallow, irregular and unresponsive. She had already succumbed to hypoxic brain damage. The baby survived, but without a mother. I’m sure they didn’t have an oximeter – if they had, then maybe this would have been prevented. How do you use the oximeters at KCMC? We have very few staff, so most of the time I supervise all the ORs myself. The nurse anaesthesia students are very capable, but sometimes I’m not able to stay in the room. However I can always hear the tone, because the sound of the Lifebox oximeter changes with the patient’s saturation. It’s excellent. People hear the tone change and we can learn, we can teach – I can say that saturation isn’t good, maybe we need to do something with the airway or the patient. Oximeters at KCMC is just the beginning. We teach two classes of nurse anaesthetists every year, from all over the country – and beyond, from Swaziland, Cameroon, Lesotho, Zambia. They’re the best students, sent by their hospitals, committed to learning skills for safer anaesthesia. 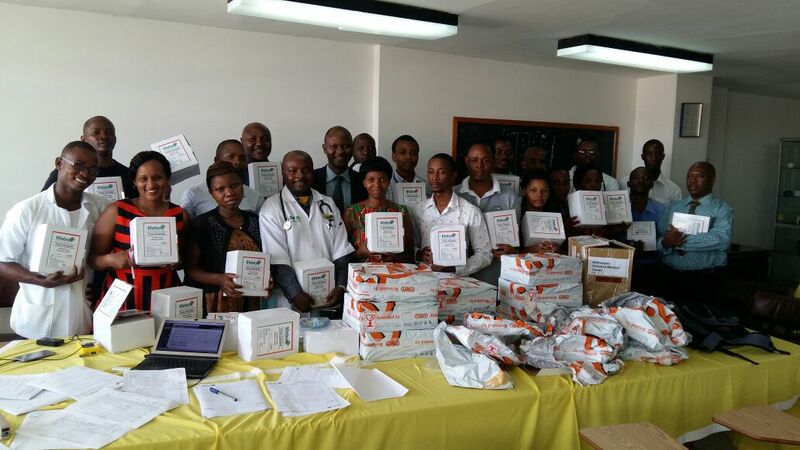 There are 36 graduating in April, and they’re all going to leave with training and Lifebox oximeters. Now we’ve been thinking about distributing Lifebox oximeters and training to other hospitals as well. We can plan a larger scale distribution to the whole region of Kilimanjaro – and other regions of northern Tanzania, one region at a time. 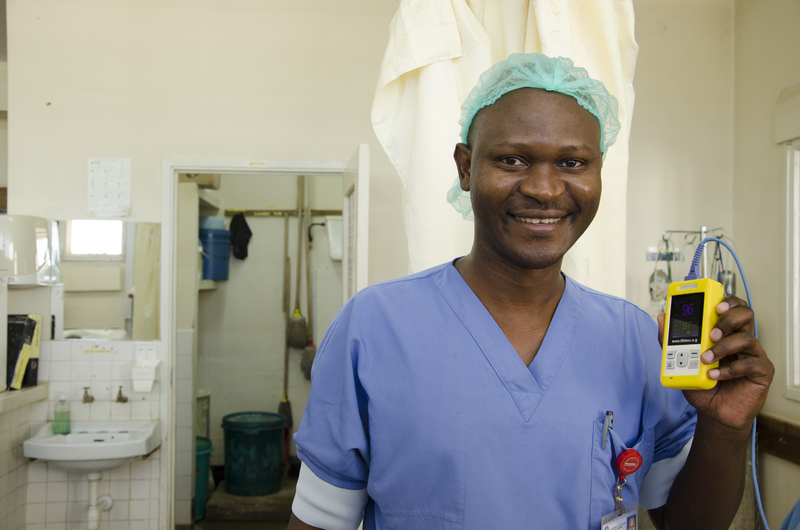 How do you think Lifebox and the safe anaesthesia work will make a difference? One of the biggest tasks I was asked by the hospital administration after I was assigned head of the department of anaesthesiology and intensive care was to increase OR output. A major solution to this challenge was to establish functional preoperative and postoperative units, by outfitting them with Lifebox oximeters. Now there is less delay between cases because patients can be re-assessed and premedicated at the pre-op unit – then transferred earlier from OR tables to the post-op unit for full recovery, before transfer to the general ward. All of this is due to the generous donation of oximeters by Lifebox. We vow to spread the good spirit to other remote hospitals in order to improve perioperative patient safety and OR performance.